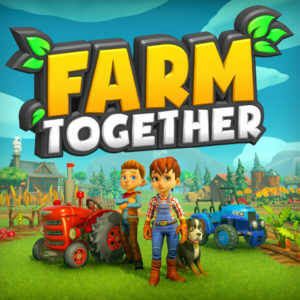 Farm Together available now on Steam! Farm Together has finished its Early Access process and is available now on Steam! It’s been an incredible experience to watch so many people enjoying the game and being so creative for the 7 months the game has been in Early Access! We sincerely hope you keep enjoying the game for a long time. We want to thank our backers for the support and feedback offered through the whole process so, as compensation for the effort you’ve done (and endured our mistakes in some cases), we’ll gift you with a Supporters Pack DLC for free, including exclusive clothing, hairstyles and a new tractor. Also wanted to add: Don’t you worry! We’ve got plenty of content planned for the future (starting with a Halloween event that will start next week), and plan to keep working on the game as long as there’s a demand for it, so please pass by the Steam Forums, the Official subreddit, or the Official Discord group and leave your comments! Soy1Bonus October 11th, 2018 News Comments Off on Farm Together available now on Steam! Avatar Farm Online update 1.1 available now! The 1st update for Avatar Farm Online has finally been approved and should be available for download within the next few hours. Now you can change online permissions from the pause menu. Slot machines that you can play with, with some cash prizes. Animal bush decoration items (for really high level farms). Greenhouse and Bakery require now 20 items and give only 1 cash. Horn of plenty gives now 25 coins every 2 minutes. Reduced volume of online player work sounds to 50%. Removed the “Joined the farm” messages just when entering a farm. Players are asked if they want to set build permissions when creating a farm. Fixed Code 4 crash when loading a game on certain conditions. Fixed tractor tool being able to plow over withered plants, losing their value. Fixed tools consuming fuel when working on just 1 tile. Fixed player level up sound volume being way too high on some conditions. Tried to remove the 1 second freeze when a player joins the game. Some people have asked how to export their Avatar Farm 1 data to the new Avatar Farm Online. We understand it can be a bit bothersome, so we’re making a small post explaining it. First of all, you have to make sure you have the latest Avatar Farm 1 version: If you can see a QR code on the left part of the main menu, you have it. Now, there are two new buttons in the main menu. The first one is “Export Farm”. Use this one and you will get a 24 letters code. Write it down. This code contains the farm data (Experience and total farm worth in coins and cash) you will be able to import into Avatar Farm Online. Now, enter the Bonus Content section. You will get another code of 18 letters. Write it down too. This code is an unlock code to unlock some decoration items in Avatar Farm Online. Go to “My Farms”, and select “Import Farm”. When asked, enter the first code you got (the long one). If the code is correct, you’ll be asked the name of the new farm, and a new farm will be created, with the experience, cash and coins you had in Avatar Farm 1 (including value of everything that was planted or built). Now press A and enter the second code (the short one) when asked. Now you should have unlocked the Exclusive Avatar Farm sign decoration! We hope this helps you better understand the export process. If you have any doubt, please ask. Avatar Farm Online, the first 100% colaborative Farming Simulator on Xbox, is available now! Probably one of the biggest games in the Xbox Indies Marketplace, Avatar Farm Online brings true collaborative gameplay to the farming genre! This game is the result of applying the feedback for the original game, with more than 75.000 users, adding most requested features and more, resulting in the perfect farming simulator! Place Plants, Trees, Buildings, Tools and Decoration and improve your farm! Time advances even if you’re not playing (can be disabled): Plant your crops, go play another games, and come back later when they’re ready to be harvested! Earn experience points and unlock new items for your farm! You can visit other people’s farm and help them, up to 16 players can cooperate to get the perfect farm! Increase your farm size, up to 4 times the surface available on the original game! Purchase Animals and feed them! Totally remade graphics, with better visuals! Reworked UI, way easier to understand and play! Improved shop, with a better layout and detailed information on the items. Unlockable themed decoration items of other Milkstone Studios games! Doubled the amount of great musical themes! You can import your existing Avatar Farm data, so you won’t need to start from scratch (although recommended). And many, many more little improvements that will make the player experience even better and more relaxing! Avatar Farm 1.7 update released! This update addresses the issue introduced in the 1.6 update, that caused save game corruption when deleting buildings or tools. You should be notified the next time you start the game. * Before resuming your game, go to settings and set simulation speed to 0. * Resume your game. Time won’t advance since last time you saved your game (before the corruption), so no crops should be dead. * Exit the game and set simulation speed back to 100 (or the value you feel most comfortable with). WaaghMan August 9th, 2012 News Comments Off on Avatar Farm 1.7 update released! We’ve been reported an issue that might happen when you sell a building, decoration or tool with a size greater than 1 cell: Wrong cells are sold, and the data remains corrupted after that. We’re working right now to pinpoint and fix the issue, but the patch might take some time until it’s approved. Meanwhile, all we can tell you is to avoid selling any building. We guarantee that we will be able to recover the corrupted data, so just be patient and don’t delete your data. UPDATE: The issue has been fixed, we’ll submit the update this Thursday (we aren’t allowed to do it before that date). It can take a while until it’s approved, so please be patient. UPDATE 2: The update has been submitted for approval. Menu music plays correctly when starting the game. Added Invert Y axis option in game settings. Increased high score charts window size, and reduced text size, now it can be read properly. Added a semitransparent preview when placing buildings, decorations and tools. Buildings, decoration and tools can now be rotated when placed. The rotation depends on the direction your avatar is facing. It should be available for download by this weekend or next week. Avatar Farm patch 1.5 available now! The 1.5 update for Avatar Farm got approved last week, but we we’ve been too busy to post it until now. Updated to the latest engine version, which should bring more performance and stability to the game. When you can’t perform an action (such as trying to plant something too expensive), the reason is shown on screen. The simulation speed when the game is not running can be reduced, or even disabled, on the settings. Improved savegame autobackup system (2 backups are stored instead of 1). The item currently being planted/placed is shown on the top left corner. This should get rid, or at least dramatically reduce, the freeze issues many people were experiencing. Note: The engine update has a minor side effect: Due to a change in the game data saving system, Game settings and highscores saved on previous versions are ignored (No effect on actual saved games, don’t panic!). This means you will have to set again Music/Sound volume settings, etc. As for the highscores, they will be reshared once you start playing, so there should be no problem at all. We have some more ideas for the next update, if the game keeps selling at a steady pace. Until then, have fun! WaaghMan July 2nd, 2012 News Comments Off on Avatar Farm patch 1.5 available now! The third patch for Avatar Farm has been approved and is ready for download. You should be notified next time you start the game. Fixed friend filtering on the high score list. Increased the initial coins-cash to 500 and 5. Increased a bit icon view distance. Fixed crash when opening the shop in certain circumstances. Added an automatic backup/restore feature to avoid data loss in case of freeze/crash. Increased the enhanced water truck capacity to 1,000 units. Now the fuel for this vehicle is payed with cash. Added a new vehicle (in two flavors): The Tree harvester. Fixed some plant categories. Now the plant/tree category is shown in the shop details (so you can know which items can be sold in each building). Increased daily reward to 500 coins and 1 cash. Increased level up money reward a bit. (Maybe for sure this time)Fixed P2P Freeze during score sharing. Added the concept of tools (tractor, seeder…) that improve farming speed. Added animations to all flags. Increased level cap to 20. Added freeze and crash detection system to improve further bugfixing. Added a progress indicator to the season text. Sadly, it seems the freeze bug hasn’t been fixed on this update as usual :(, and the freeze detector doesn’t seem to be working as expected, so we won’t be able to get more info on the issue (We experienced the freeze just one time, though). Remember that if you experiment the freeze issue, you can disable P2P scores on the game settings and they will go away.